06 Şubat 2019 Çarşamba 08:00 - 5 reads. Since years, have struggled to find a national Label in the livestock production. Today, Minister of Klöckner presents its "animal welfare Label". Animal rights is not enough. Three levels of quality are planned in the new state "animal welfare Label" that is valid only for pork. Already the lowest prescribes according to the Ministry of agriculture, husbandry conditions, over and above the statutory minimum standards. 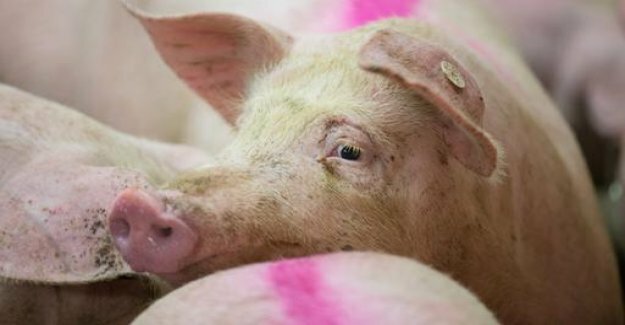 pigs to have more space in the barn and greater sleep zones. Also during battles, the requirements are more stringent than stipulated in the law. And also during Transport of the animals to the slaughterhouse, the rules are strict: It may take up to eight hours. Overall, the Label lists a dozen or so rules, with which compliance is mandatory - labelling remains voluntary. Julia Klöckner presents its "animal welfare Label": But there is criticism. meaning of "animal welfare Labels", it is to help the farmers to sell meat from better posture easier. The Ministry of agriculture expects pork level in the entry-level, about 20 percent more cost. The advantage for the consumer is that customers could compare because of the uniform Labels better. Julia Klöckners predecessor, Christian Schmidt has tried, but it is only now that there is a compromise. Currently, many supermarket chains are creating their own labels with different Standards for husbandry and slaughter.